Looking for the Best Movers in Colorado Springs? Experience our commitment to making customers happy. Contact us today for a free quote! Located right here in Colorado Springs, 5 Star Moving & Storage offers outstanding service, whether you need help with a small apartment move or require full pack and move services for a 4,000 square foot home. Locally owned and operated, we serve all of Colorado and facilitate moves across the country. As one of just three movers in Colorado Springs that’s a military-approved, DoD shipper and packer, 5 Star is trained in performing moves under strict guidelines. 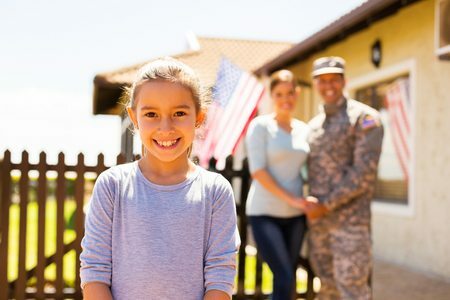 For civilian moves, this typically translates to a lower bottom line cost for you by having an efficient and coordinated plan of action for moving day. 5 Star Moving and Storage, Inc is proud to be a Prime Agent for Arpin Van Lines. Click here to learn more about our association with Arpin Van Lines. We needed a professional mover to help service our VIP customer and 5 star delivered with a great crew and outstanding attention to our details. Greatly appreciate service providers that go above and beyond. Thanks!! A company who has earned their name! 5 Star Moving Company has genuinely earned their name with this repeat customer. Quality, assurance, and customer service are what they strive for and transcend beyond the typical 9-5pm like you will experience with other competitors. The movers were punctual, polite, curtious, and diligent in all aspects. I will not be using any other moving company in the future. I love this company!! I’ve moved several thousand times but this time was without the help of Uncle Sam. 5 Star moving was my perfect choice because of their experience with difficult moves (PCS). The folks were very accommodating as this was a move from a remote site between snow storms!!! Well done on every front! Call them! Read the reviews. You won’t be disappointed! I WILL use them again this summer! Have used 5star on 3 occasions. This is the most wonderful company!! We have used them on three occasions, and each time we have been pleased beyond our expectations. Tim, Justin and Pat did the miracle of getting all of our stuff in the truck. They worked like they had a fire to put out! Sherrie just, Cheree, and Melysa in the office answered every question with total professionalism. No other moving company in my book!!!! From start to finish the movers did exactly what I wanted to be done when I needed it done. Very professional and very cautious with all our items large and small. We used them twice and would use them again. They never miss on th basics. On time, no damage, well communicated & competitively priced. Over and above this, they cared about our stuff and went the extra mile by helping us set up a display case. Plus, not only are they competent, but super nice people too. I have used this company for 7 “segments” of move and have been pleased with them each time. The guys were energetic and seemed to like what they were doing. Their good and interested attitude made the experience fun. They always take great care wtih out things. Would and will use them again. Great Work! Made our office move seem easy! Our company was downsizing and we needed to close a satellite office quickly. 5 Star Moving and Storage was the only company that responded quickly with the best rates and a professional quote. 5 Star also worked around our schedule, did not ask us to make concessions to fit their needs and did not turn us down because of the short notice we provided. 5 Stars staff maintained communication with me until the move and even notified the morning of our move to confirm that we were still on schedule. The level of customer service prior to the move was top notch. Whether you’re moving from Colorado Springs to Denver, Fort Collins or New York, 5 Star Moving & Storage has you covered. As a Premier Agent of Arpin Van Lines, we’re backed by a nationwide network of moving resources and support that specializes in providing true peace of mind. Whether you’re moving long distance or just down the street, the whole process can be overwhelming and frustrating. Let 5 Star Moving & Storage make this milestone move to a new home easier with help every step of the way, from packing boxes to taking care of all the heavy lifting. Moving an office, business or other company in Colorado Springs comes with a variety of challenges, from making sure your expensive equipment arrives unharmed to avoiding interruptions to your daily operations. Our experts can pack, move and get you set-up – all during off hours. When you’ve professionally packed as many homes and businesses as we have, understanding how to do it quickly and correctly becomes second nature. Electronics to fine china, furniture, family heirlooms and art, we only use proven methods to pack and protect all of your fragile items. As an approved company for the DoD relocation program, we offer secure long-term storage in a 10,000 square-foot warehouse using individual vaults. While long-term storage is our specialty, we offer highly competitive rates for your short-term storage needs. Call today for current rates. Limited Liability is free and required by federal law. This basic coverage makes the mover responsible for up to 60 cents per pound and per item for an interstate move (out of Colorado or country). Added Valuation must be purchased based on how much your possessions are worth. This coverage pays for the repair or replacement of an item according to its current value, minus depreciation. Full Value offers the most protection for your money, covering the actual cost of repair or replacement without depreciation loss. If your homeowner’s insurance covers moves, it may not be needed. Plus: weather, boxes/items spread out, etc. The above factors aside, here are very general ballpark times for moving.